They’ve stood face to face with glory…only to be turned away. They’ve battled the media…barely escaping with their egos. But when win the NBA Championship, finally achieving the goal they predicted over 5 years earlier, life off the court becomes the greatest test they’ve ever had. 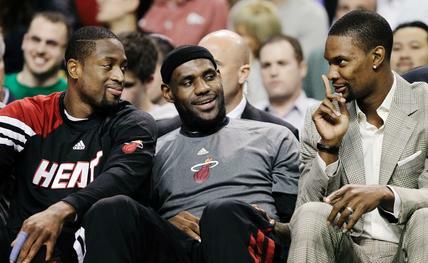 During the court trial for the death of yet another massage therapist, sexuality rumors about the weak link in Miami’s ‘Big 3’ surface that will rock not only the identity of one NBA star, but will test the friendship of them all. Will this scandal strengthen their bond, or will the years of pressure destroy the dynasty they tried to build for half a decade?